Tiktik: A Dream Pinoy Horror Flick! When ‘Tiktik: The Aswang Chronicles’ had its premiere night on Monday, October 15, at SM Megamall Cinema 9—a lot of people were there to witness this momentous movie event of the year, helmed by Erik Matti. Frankly speaking, it is indeed quite an ambitious movie, but why dilly-dally the producing of such one—if there is a venue, if there is a budget, and there is a great cast to finish such project? This is what actually happened to director Erik Matti and Ronald Stephen ‘Dondon’ Monteverde. Much have been said and written about this movie adventure that stars GMA-7’s prized actor Dingdong Dantes [which I would daresay]—did fit well as Makoy, the easy-go-lucky guy who impregnated Sonia, portrayed by Lovi Poe, another GMA-7 artist. Dantes is the perfect antithesis of the ideal ‘prince charming’ or the ‘knight in shining armor’ in love stories; as he portrays the ‘bad boy’ image, which was once highly-regarded or referred to Robin Padilla. But, what’s more exciting about it is the inclusion of Joey Marquez and Janice de Belen in the cast as the husband and wife, the father and mother of Sonia—as Nestor and Fely. Both have been identified in horror flicks back then and having them is one reason to watch this first-ever in the history of Philippine cinema that’s shot in its entirety in a green screen. Note: For starters, green screen technology is commonly used for weather update forecasts, where an interactive map is seen behind the presenter. The use of green screen is predominant in Hollywood blockbusters and advertising to achieve the effects needed for the material. Another big reason to celebrate for and to watch this gigantic and exorbitant film is the spotlighting of Philippine Mythology and Folklores. This film signals the first offering of a series of ‘Aswang’ movies, which has never been explored before. Its special effects were really good and is already something that we, Filipinos, must take pride in. It was one brave attempt, but has succeeded in all its expectations. Truly, ‘Tiktik’ surpasses anything that has been offered about ‘Aswangs’ in other Filipino films; as Dave Yu, the visual effects director made it possible in creating a believable full CG environments and creatures. Congratulations to the concerted efforts of Reality Entertainment, AGOSTODOS Pictures, PostManila, Mothership, and GMA Films for this dream Pinoy horror flick that came to pass. ‘The Woman in Black’ haunts T.E.A.T.R.I.N.O. ‘The Woman in Black’ is known to be the second longest-running play in the history of West End, and was presented by Dulaang Kalay (DK), a theater group of Kalayaan College and Word of Mouth on October 19 and 20, respectively at T.E.A.T.R.I.N.O., Promenade, Greenhills Shopping Center, in San Juan. 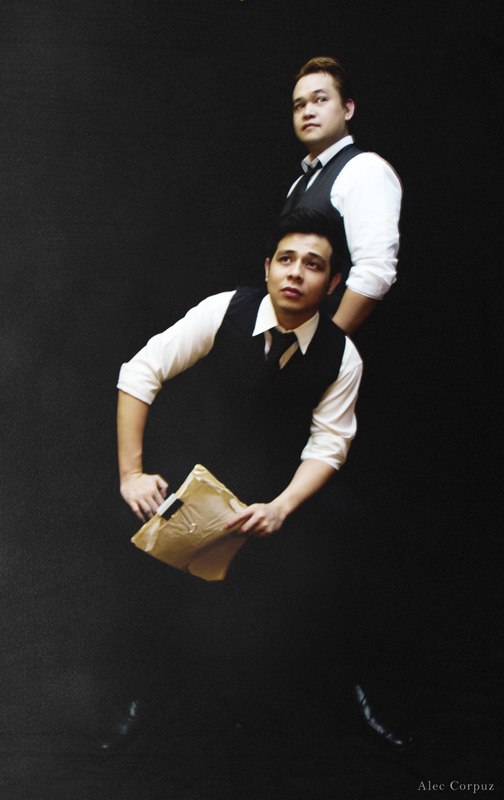 It starred two of the country’s exciting theater thespians, Jeremy Domingo and Reb Atadero as Arthur Kipps and the young theater actor, whom the junior solicitor hired to help him. On its first act, the play opened in an empty Victorian theater with Kipps reading from a manuscript of his story as the young actor, whom he hired, berated him for his poor delivery of the piece. After a much heated debate, they both decided to perform the story, with the Actor (Atadero) played a younger Kipps, and Kipps (Domingo) himself played all the other characters mentioned in the script, which was part of his journey, as he narrated the play. However, during the course of the play’s run-through, there were things that unfolded. Domingo stood out all through and through in all of his character portrayals. It is something that he probably has mastered with his being a seasoned actor and has played several roles as a voice talent. Though Atadero as the Actor, did great here, still it was Domingo, who was remarkable in this production, which is based on the book of the same title, and was written in 1983 by Susan Hill. Domingo made his multiple roles distinct from each other; a task that is quite Herculean. Lauded to be one of the best ‘horror’ stories mounted on stage, yes, it did scare or perhaps shocked some of its audiences when it had its gala premiere on a Friday night. Yet, I was expecting that the ‘woman in black’ to be disturbing for me—but I guess—my tolerance for horror stories is far too high that it didn’t leave any ‘nightmare’ or ‘scary thoughts’ when I went to bed that night. The lighting was great, no doubt about it. Meliton Roxas Jr. did a beautiful rendition of the lights. However, the executions of the moving objects need some re-working, but it was a good attempt overall. William E. Manzano was successful in squeezing the best of Domingo, so as with Atadero well; but the latter just need to be more ‘mature’ in attacking the role of the ‘Actor’ haunted by the ‘woman in black’. Also, the appearance of the supposedly creepy ‘woman in black’ [for me] should be more than memorable, or if not, a disturbing experience altogether. As a whole, ‘The Woman in Black’ made quite a stir as it had its re-run this month. Dulaang Kalay (DK), is the first student organization in Southeast Asia to stage this West End classic, produced and presented an advanced engagement on August 31st of this year. Dulaang Kalay and Word of Mouth Theater Philippines’ ‘The Woman in Black’ was presented by special arrangement with Samuel French, Ltd., under Amateur License 131661; and in partnership with Sybex Animal Health & Nutrition, and Global Nutrition International.